I’m getting back into my reading groove. I was proud of my 14 books in 2015, but it turns out I read more than twice that in 2016, 33 to be precise. A few factors influenced the increase in books read. First of all, my renewed interest in reading the previous year caused me to want to read even more, and I was constantly adding to my what-to-read-next list and always had a book ready when I finished the last one. Secondly, I finally tried audiobooks, which definitely helped add books to my completed list. It was great to have an audiobook available for runs, walks, and drives. I often found myself walking or running a little extra just to finish the chapter, and I didn’t mind if there was a little bit of traffic. And lastly, being a member of two book clubs is definitely an incentive to read. 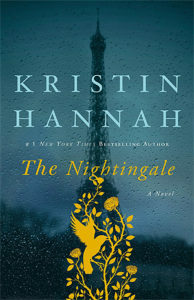 I read many very good books last year, but there were only three books that earned the top rating of five stars, books I thought were “amazing” (description used by Goodreads): The Nightingale by Kristin Hannah, Behold the Dreamers by Imbolo Mbue, and Tell Me Three Things by Julie Buxbaum. These are books whose stories absorbed me and have stuck with me. I’ve recommended them without hesitation to friends and family and even given them as gifts. In the following list, I also included some other books that I really enjoyed, two of which are Scandinavian. 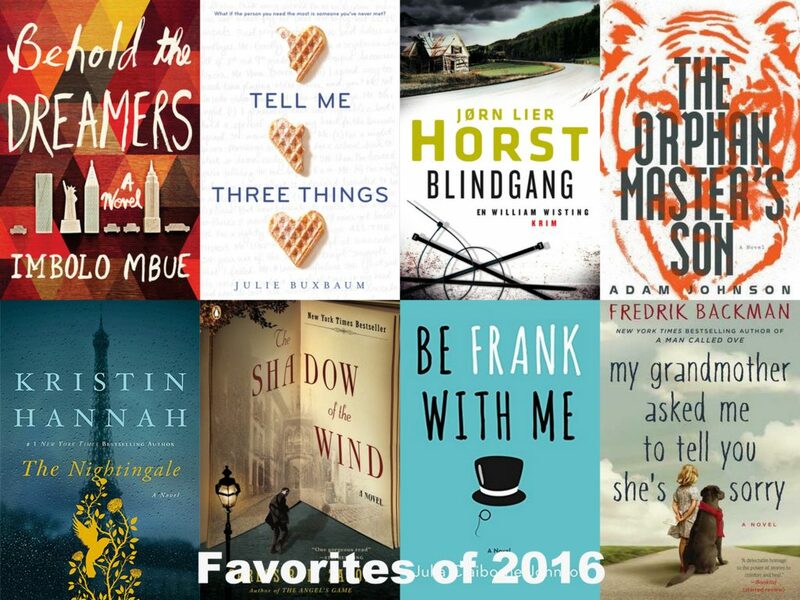 If I had to choose my absolute favorite book of 2016, it would probably be The Nightingale. It was a pick by my book club. It is a WWII book like so many others, but it explores what I feel is a fascinating, hidden story of WWII. It looks at the lives of two sisters and the roles they played during the war. One sister lived in Paris and became actively involved in the resistance. The other lived in the countryside with her husband and daughter. The husband had to go off to fight, and soon her town was occupied by the Nazi Germans. Both women experienced frightening and difficult situations, but they showed great strength, courage, and perseverance. 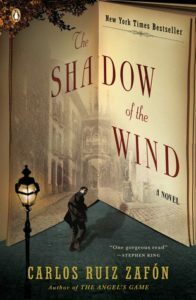 This book is often mentioned in the same breath as All the Light We Cannot See by Anthony Doerr, another WWII book that takes place in France. I read that one in 2015 and enjoyed it greatly, but The Nightingale is my favorite by far. 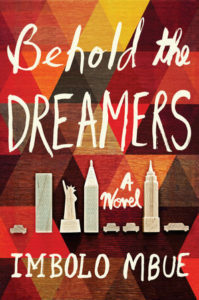 Almost tied for first place is Behold the Dreamers, my Book of the Month pick for September 2016. It’s a look at the life of an immigrant couple and their child who came from Cameroon to New York City to fulfill the American dream right before the financial crisis of 2007–2008. At first, I was turned off by the fact that they were trying to game the system, coming as refugees when they really weren’t, but I quickly let that feeling go as I was absorbed into their daily lives filled with struggles, joys, and difficult decisions. The ending was not what I expected but I was very satisfied with it. The author Imbolo Mbue is a native of Cameroon and now lives in New York City. I highly recommend this book for anyone eager to diversify their reading with an #ownvoices or immigrant story pick. I came across this YA book just by chance. The cover jumped out at me at the Los Angeles Times Festival of Books in April 2016. How could I resist a cover with Norwegian heart waffles? 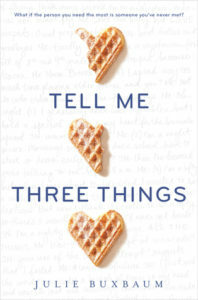 It turns out Tell Me Three Things has nothing to do with Norwegian heart waffles, but the cover stuck with me. Then, shortly thereafter, I saw it recommended by the teen readers council at our local children’s bookstore. I figured, let’s just give it a try. I loved it. It was a light but moving unputdownable book that I forced myself to put down so it would last longer. It’s about 17-year-old Jessie who moves to Los Angeles to live with her dad (and his new wife and her teen son) after her mother dies. She has to attend a small, private high school, and soon an anonymous person calling themselves Somebody Nobody offers to help her navigate school life. They communicate through emails and texts. 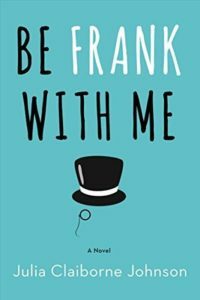 I loved the sweet mystery that was wrapped up into this story as Jessie tried to find her way at her new school and figure out who the mystery person was. This was another book club pick, one that I would not have picked up otherwise. 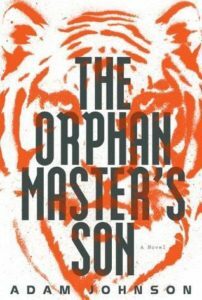 The story takes place in North Korea and is about Pak Jun Do, the son of a woman who was “stolen” and a man who ran a work camp for orphans. During Jun Do’s years growing up at the orphanage, he gets his first taste of power as he decides such things as which orphans get to eat first or assigned certain jobs. From there he rises in the ranks and he eventually takes on the life of a rival to the supreme leader Kim Jong-il (1994-2011). Though the book is fiction, it was highly researched by the author and even included a (very supervised) trip the country. The book is a fascinating but extremely disturbing look at life in North Korea. It was one of our book club’s best discussions. I came across this book when looking over a list of 15 audiobooks that enhance your reading experience. This is the story of Alice who is sent to Los Angeles to be an assistant to Mimi Banning, a reclusive author who has only published one very successful book decades ago but now needs to complete another since she has become broke. Alice is supposed to monitor Mimi’s progress, but instead she becomes full time caregiver for Mimi’s 9-year-old son, “a boy with the wit of Noel Coward, the wardrobe of a 1930s movie star, and very little in common with his fellow fourth-graders”. I loved Frank and was so glad he finally had someone who appreciated and understood him and gave him the time and attention he deserved. If you want to give the audiobook a try, the narrator Tavia Gilbert really did a wonderful job enhancing the reading experience. I read this book many years ago but decided to reread it for our summer trip to Barcelona. I loved it then and yet again now. It takes place in Barcelona after the Spanish Civil War (1945 and onwards) and is about young boy Daniel who discovers a book in the Cemetery of Forgotten Books and becomes obsessed with it. He sets out to discover all he can about about the mysterious author. Along the way, he encounters murder, madness, and love. I read this book for my Scandinavian Book Group. 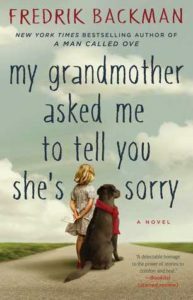 It is a wonderfully sweet story about the relationship between a girl and her grandmother. Elsa is not your normal seven-year-old. She is unusually mature for her years, and her best friend is her crazy but devoted grandmother. When her grandmother dies, Elsa is sent on an unusual quest through letters left behind by her grandmother. Elsa’s quest is interwoven with a fairytale story that her grandmother told her growing up. Slowly but surely, we learn more and more about the complicated lives of the grandmother and the others living in the apartment building. The ending was surprising but very satisfying. This was my Norwegian read this summer while in Norway, a compelling “cozy” crime story that kept me reading throughout the long summer days. (The English translation Ordeal translated by Anne Bruce will be available August 8, 2017.) It is book #10 in the William Wisting series (5th to be translated into English). 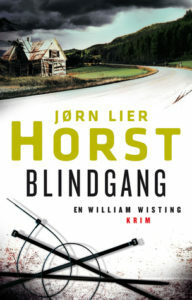 I had already read #9 Hulemannen (available in English as The Caveman) and knew I liked the police investigator William Wisting, so I had no hesitation picking up another by Horst. It’s really a story of everyday life in a small Norwegian coastal town. A single mother and her one-year-old daughter move into a house inherited from a grandfather with whom she had a rocky relationship. As she makes the house her own, she comes across a locked safe that is bolted to the basement floor. It turns out the safe contains important evidence to a crime that has given the police trouble for a while. This is a character-driven police procedural. The main characters are very likable and relatable. Horst writes about normal daily routines and unusual happenings with equal clarity. I’m looking forward to reading another William Wisting book next summer. Thinking back about the books I read in 2016 was a fun experience. It’s like revisiting with old friends. Comparing them to ones I read in 2015 was interesting. I’m learning more and more about my reading likes and dislikes, and I’m reading more books outside my normal tendency and seeking out more diverse books. I look forward to another productive and diverse year of reading! This entry was posted in Books & Reading and tagged #booksintranslation, #ownvoices, Fredrik Backman, Jørn Lier Horst, Scandi Lit by Patricia Zanuck. Bookmark the permalink.